In Hear This, A.V. Club writers sing the praises of songs they know well—some inspired by a weekly theme and some not, but always songs worth hearing. This week: What’s one of your favorite tracks so far this year? The song “Holy Ghost” appeared this year both on Low’s new album The Invisible Way and on Mavis Staples’ One True Vine; the common link between the slowcore band from Minnesota and the storied gospel/soul singer from Chicago is Wilco’s Jeff Tweedy, who produced both records. 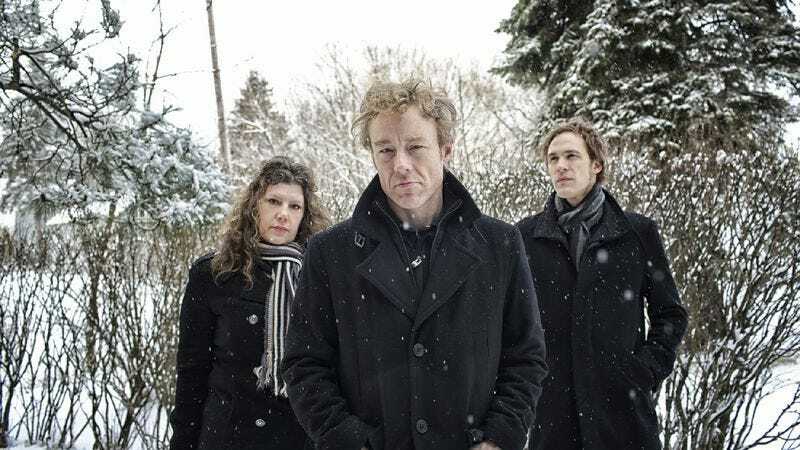 Low’s Alan Sparhawk wrote the song, and his wife Mimi Parker sings it on their recording, and she sings it—as usual—hauntingly. She sounds like a ghost in the first line: “Some holy ghost / keeps me hanging on.” Staples—backed by a hushed gospel trio—brings the song back to Earth a bit; it sounds more like it’s in church than in heaven itself. The line that the 74-year-old sinks her gorgeous voice into most effectively is this one: “Feeds my passion for transcendence / Turns my water into wine.” It’s a fascinating look at two different ways to deliver the same material, and neither is clearly better than the other. When Low performs it, it sounds like a Low song; when Staples does, she absolutely owns it. And it’s not that the versions are miles apart sonically—they’re actually very similar, with Low keeping it chilly and Mavis warming it up. There’s no reason not to listen to them back to back.